The latest TCRN Bridging the Gap cheese and wine seminar will be entitled 'Grow a pair! 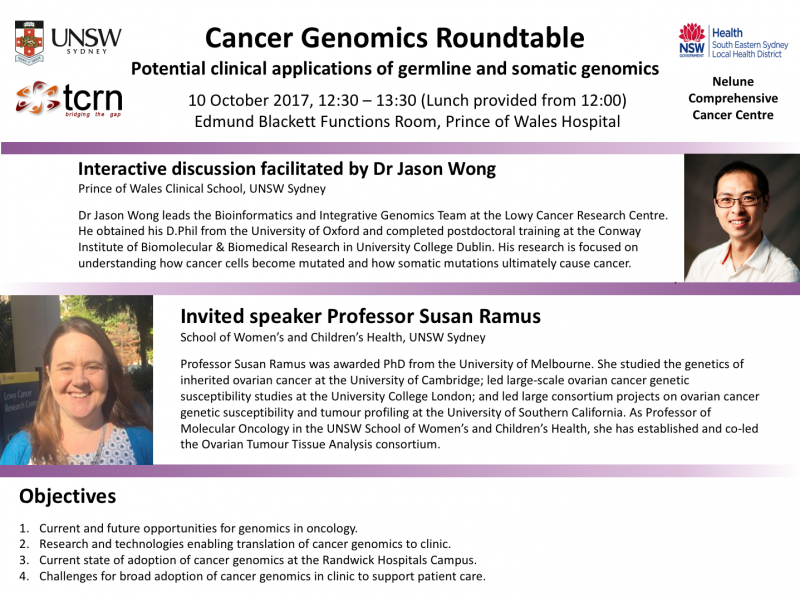 Insights from a basic science-clinical collaboration on ovarian cancer' featuring Dr Caroline Ford & Professor Neville Hacker. This year we open Consumer Involvement Information session to all TCRN and UNSW researchers. Introductory and how-to seminar on consumer engagement.